TheRustedChain - The Blog: Very Berry Happy. I'm so shocked and humbled by the response to the book, Sunflowers & Sweet Tea. I honestly thought we might sell 5 copies, and I would have been happy with that. It was something I knew I had to do, and just finishing it was a huge sense of accomplishment. We're keeping them stocked as fast as possible. On a different note, a few weeks ago our mulberries started popping out. We love them and try to use as many as possible each year. The Baby picks what he can reach, then climbs the fence and picks more! 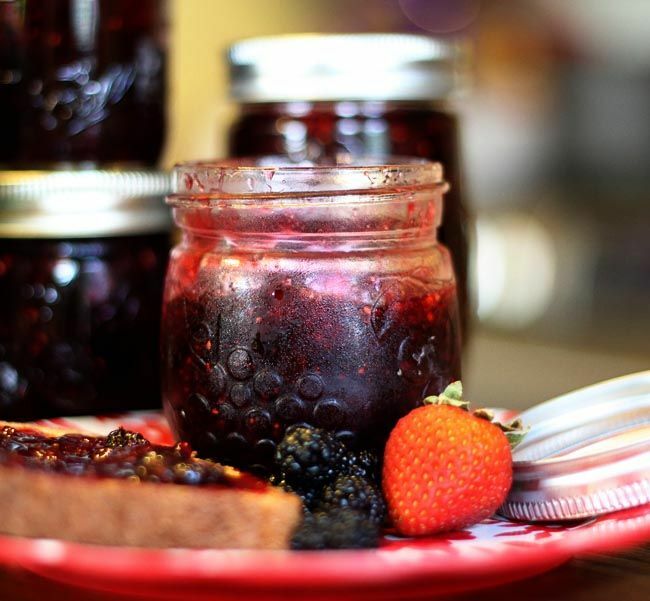 This year I made "Very Berry" jam. And oh my gracious, it's delicous! 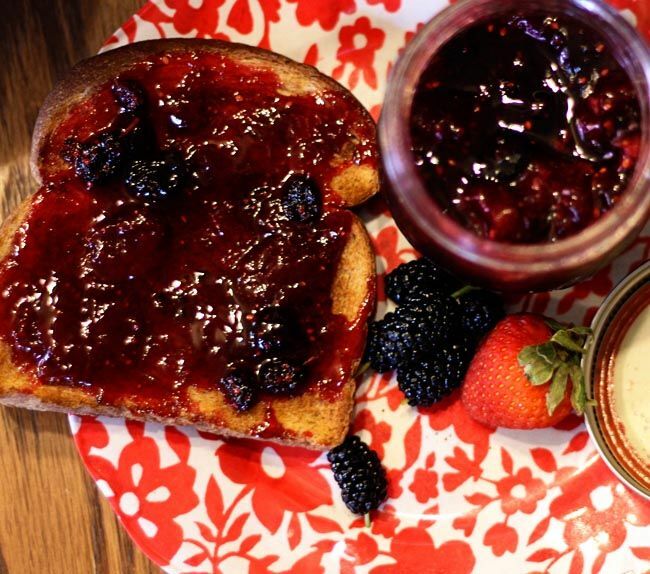 Very Berry jam on whole wheat toast is my new favorite breakfast. 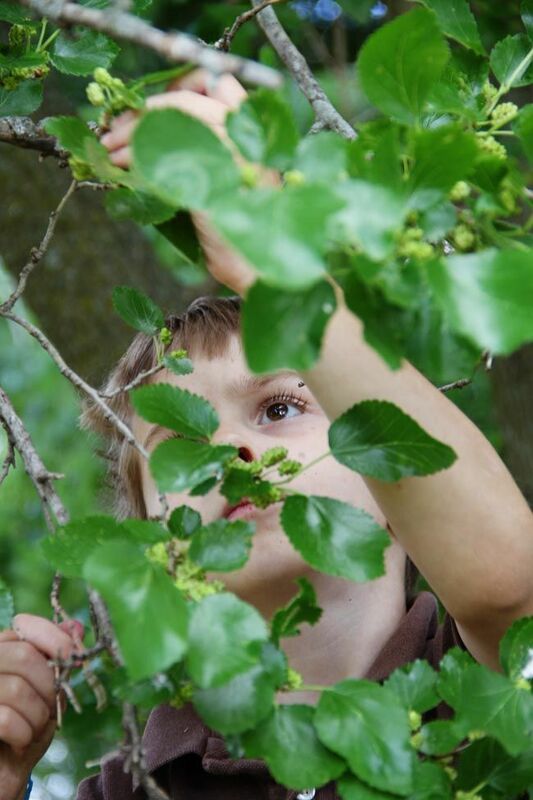 Usually we end up with more mulberries than we can possibly use. This year there was a ladybug infestation and they ate most of them! Rude. 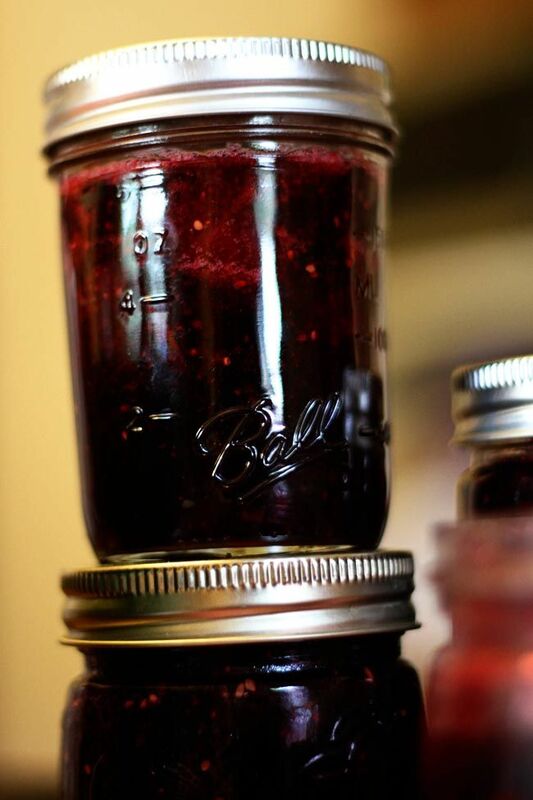 So we got one batch of jam and that's it. But that's okay... it's delicious. I'm trying to streeeeetch it out to make it last through winter. 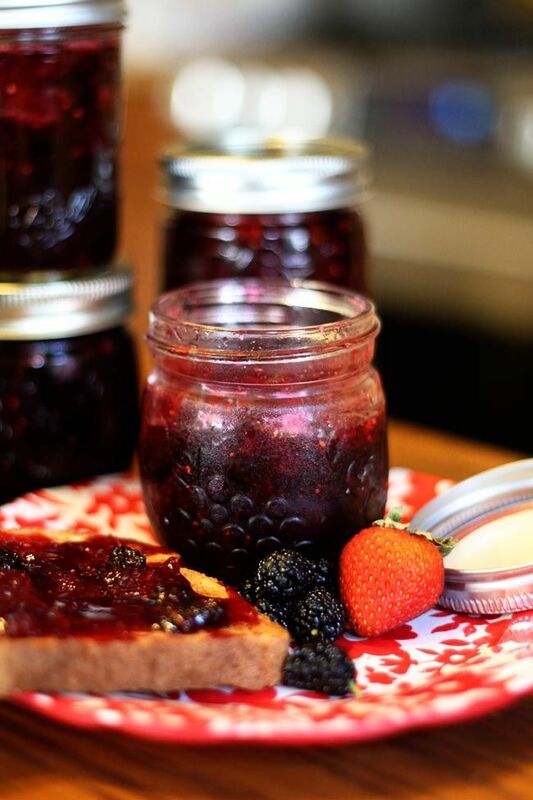 What's your favorite jam flavor? 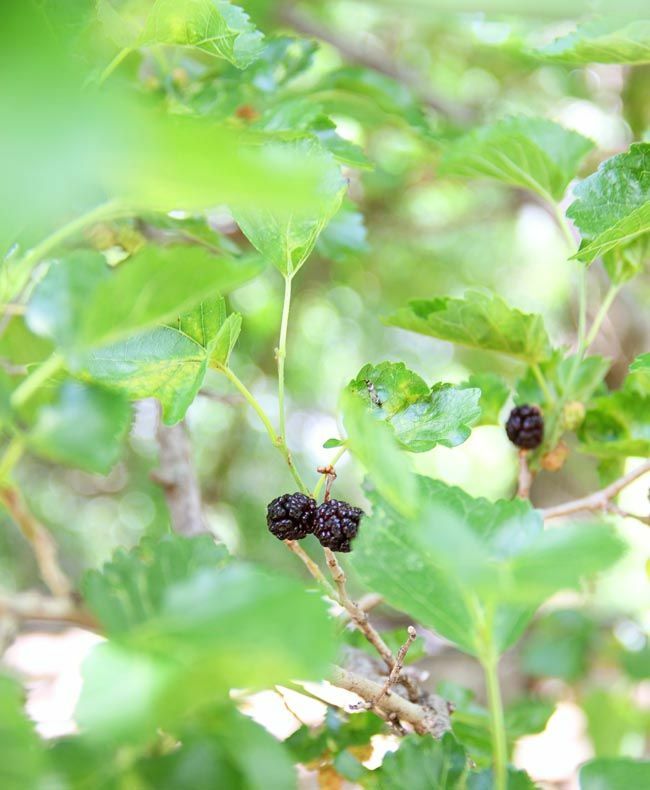 I love Mulberries! When I was about 10 the place we rented had one and I would climb up in it and eat to my hearts content. Are you selling the jam?? My mother would love that! 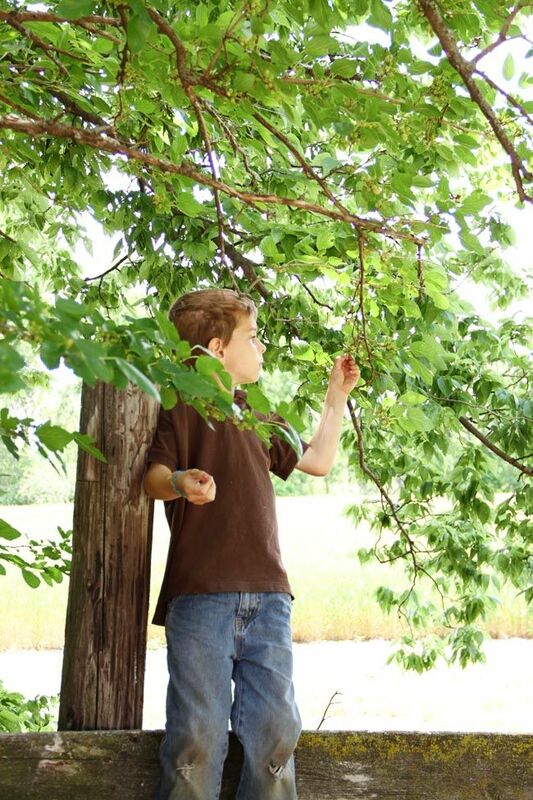 They raised mulberries in Ohio when she was a little girl. I'd like some jam with my book! I like peach or apricot, but am definitely not picky!